Fresh out of Florida International University with a degree in computer science, she was hired as one of the county's first programmers. The information technology department had five staff members—two analysts and three programmers—and Fuentes implemented the county's first computerized budget system before she was enlisted to help develop Miami-Dade's GIS from the ground up. "I did not become interested in GIS; GIS recruited me," she recalled. "I did not know what something like topology meant…or connectivity or polygon. It was brand new." "We started to look into the technology and [analyze] what would be the best, most economical way to really proliferate [it] in the county," she recalled. "We learned how to look at things in a totally different way"—spatially. "People didn't know where the bulk of the crime existed," she said. "I designed the county's very first crime analysis system in 1988"—becoming the first programmer at Miami-Dade County to implement an app in GIS. From there, Fuentes was instrumental in getting GIS up and running in the solid waste department. The fledgling GIS team had managerial support to build a routing app for garbage truck drivers, but the mostly male field crews were resistant to the technology. They said they knew their routes and didn't need maps. So Fuentes, still in her 20s at the time, boarded the trucks. "We got on those garbage trucks, and we helped them," she said. "We saw everything they did. […] When you do their work through their eyes, you start out as a partner." "What if you could finish two hours earlier?" they proposed. That stuck. 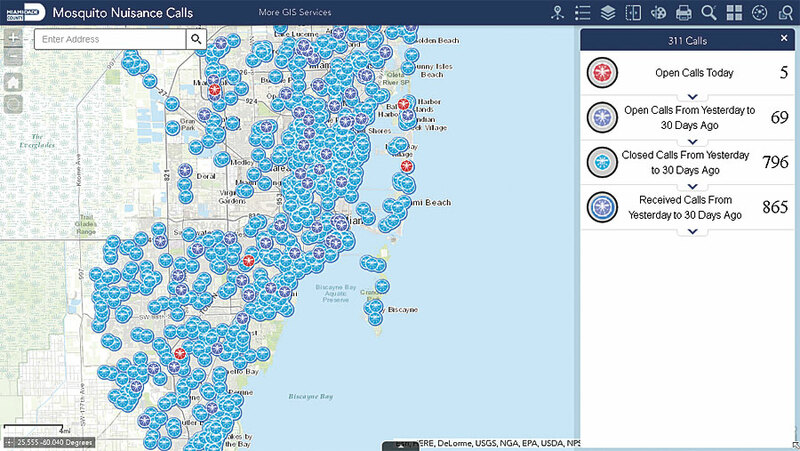 And now Miami-Dade County's solid waste department is a huge user of GIS. "We've come a very long way," said Fuentes, who is now the director of enterprise GIS at Miami-Dade County. GIS is "in every department, every line of business in the county." "It's all about the map!" she exclaimed. "I am really proud of the adoption of GIS in Miami-Dade County," said Fuentes. "One of the ways that we have, throughout my career, looked at technology is that we are not users or developers but partners." "GIS is in everything," said Fuentes. "It's part of the fabric of Miami-Dade County's technology." 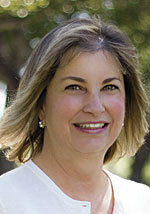 "She's a visionary," said Karen Grassi, the GIS technical support manager at Miami-Dade County. "She has a vision, and she goes with it." "She's one of those persons that has grasped ahold of [GIS], understood it, and…can advertise it, put it out there, meet the higher-ups, and make it understood," said Charlton Lewis, Miami-Dade's IT/GIS manager. "She's worked very hard—because of her knowledge and passion for GIS—to try and integrate it everywhere," said Patty Madrid, the county's computer services manager. "What I've seen her do is make sure the departments understand that we can give them more than just a map." GIS is now an integral part of so many systems at Miami-Dade County. For public safety, it was instrumental in building a multijurisdictional 311—reportedly the first in the country—and is entwined with the county's 911 operations. Crime mapping has evolved significantly, and a lot of it is available online. 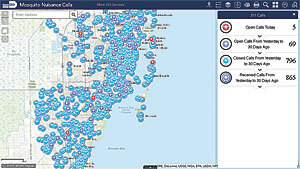 GIS helps police geolocate various kinds of crimes, and the county has created an array of apps, including one for arrest warrants that lets officers easily record where an arrest takes place, where the crime happened, where the offender lives, and where the victim lives. This is a good way to share information with other municipal departments, and it allows the police to see patterns, such as whether people typically commit crimes close to home, in certain neighborhoods, or near particular businesses. The fire department uses GIS to do things like predictive analysis and maintain fire hydrants, sending work order forms for out-of-service hydrants directly to the water and sewer department so they can get fixed quickly. There's an app called Parks 305 that lets people look for picnic tables in any park in Miami-Dade County. And the popular Artificial Reefs app helps residents and visitors find artificial reefs to explore off the coast. "We probably have about 1,200 layers that are updated all the time in our central repository," said Fuentes. But it's not the layers that bring the most value to the county. "The value that GIS has in Miami-Dade County, as an asset to Miami-Dade County, would never have been realized without [enterprise GIS] because part of that value is not one type of layer—it's not a park layer; it's not a parcel layer; it's not a water line," said Fuentes. "All of that works together." "I think it's really important to engage citizens," said Fuentes. "As soon as this Zika issue started becoming a crisis, she jumped in there and said, 'We can help you,'" said Madrid about Fuentes. "We ended up doing a lot of work for Zika." "We had to make tons of phone calls to let people know that [their neighborhoods] were going to get sprayed the next morning," recalled Fuentes. Fuentes is pleased with her department's citizen engagement strategies and proud of having been "part of something in this county that has touched every citizen." This is also where she sees Miami-Dade's enterprise GIS continuing to grow. "Citizen engagement through the deployment of more and more and more mobile technology, I think, is the next step," she said. "I want to see everything we do readily available at the tap of a phone…and I think we have all the tools to do that." "They take such pride in their work," she said. "Everybody feels a strong sense of commitment; everybody feels a strong sense of pride; and everybody feels a strong sense of teamwork. They're always looking for what to do next." She will also need to continue evangelizing GIS to everyone at the county. But that's where she excels. "She has really shown—from the mayor all the way to the IT staff and end user—how GIS can work for them, what it can do for them, and how GIS can help them get their point across," said Madrid. "This metropolitan is now spatially aware because of, I would say, 80 percent of what she's done," said Lewis about Fuentes. "Mary has taken GIS from day 1 to day 10,001 and held it together and let it grow to where it needs to be. She's a true leader."